Located at 606 W. Broadway, Viroqua. It may be rented for weddings, baptisms and select other events. 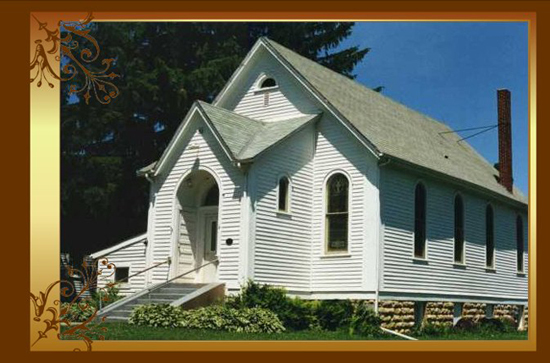 The first mass ever celebrated in Viroqua was held at the home of Mr. and Mrs. Lawrence Bigley on October 1, 1905. 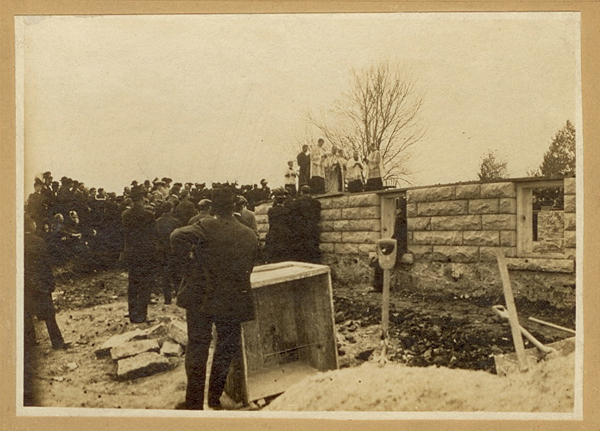 On March 25, 1906, local Catholics rented a hall over the Proctor Bank, held mass, and organized their little parish, St. Mary's. 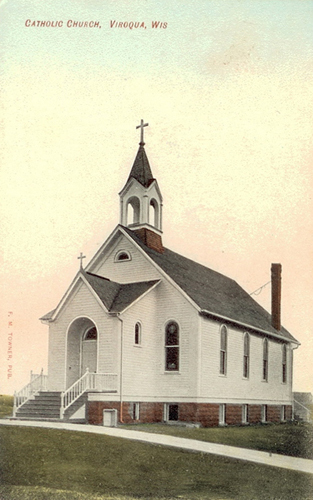 St. Mary's Catholic Church was dedicated in the summer of 1908, on this original site. The lot was donated by Mayor Frank A. 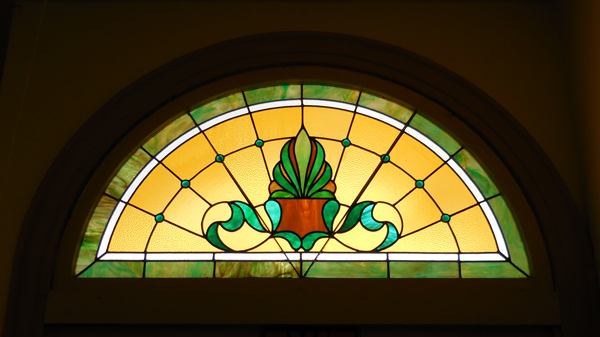 Chase, and Jerry Dawson donated his services as building superintendent and architect. Chris Peterson was builder and contractor. 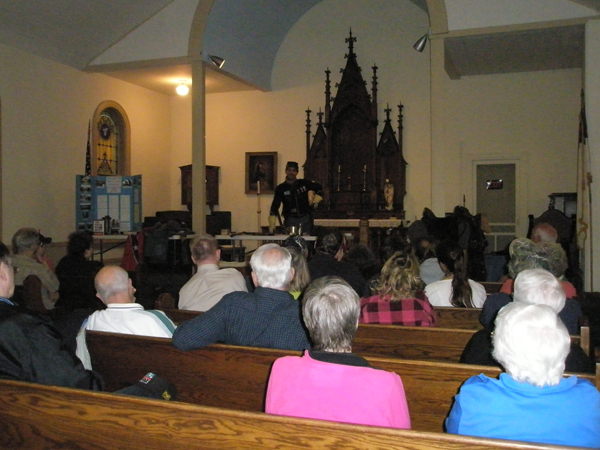 Funds were contributed by Catholics from all over the country, and also by local businesses. St. Mary's was a mission church attached to the Rising Sun - St. James parish for forty years; it became an independent parish in 1947. 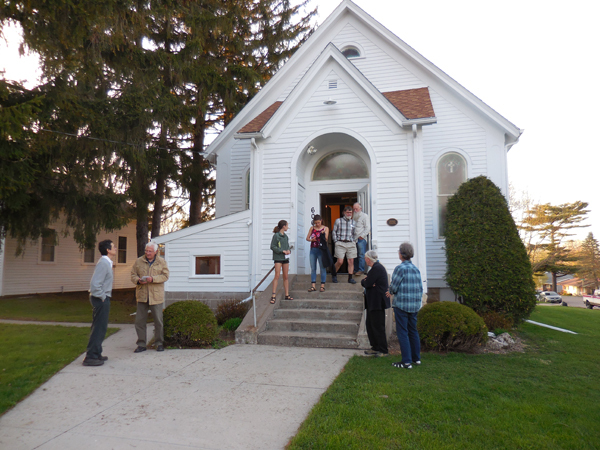 A new church was built on Congress Street in Viroqua in 1959, and the Vernon County Board of Supervisors purchased the old church for the Vernon County Museum. Museum artifacts that were housed here from 1961-1989 are now found in the former Vernon County Normal School building. 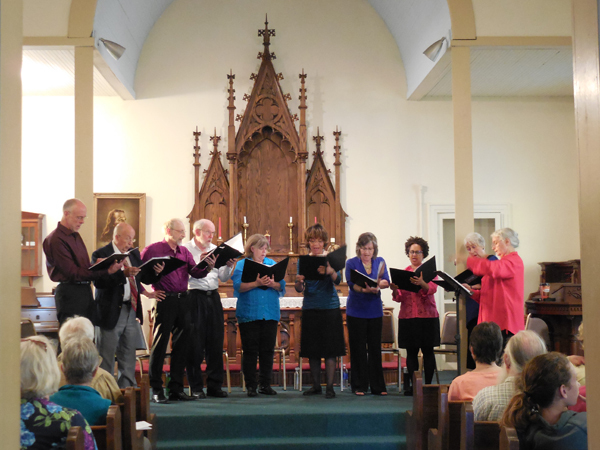 In 1993, through donations and volunteer effort, the wishes of the Vernon County Historical Society were realized when the "old Catholic church" was turned into a church once again. This building is now a museum of church life in Vernon County. It is available for rent for weddings, christenings, etc. The original furnishings of St. Mary's Church have gone missing. 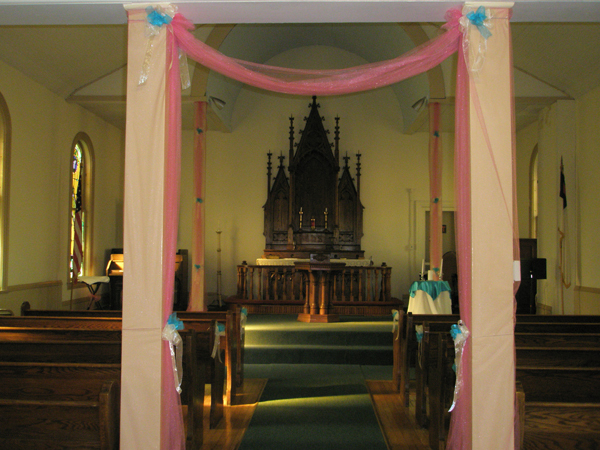 The altar currently in the church is from South Kickapoo Church, near Folsom. The candlesticks and two angel statues are from St. Charles Catholic Church in Genoa. 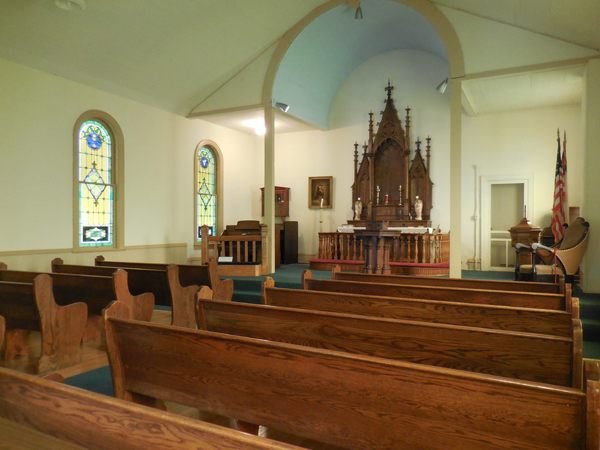 The pews are on loan from Asbury Methodist Church, rural Viroqua. The podium, baptismal font, and flags were donated by the Liberty Pole Methodist Church.